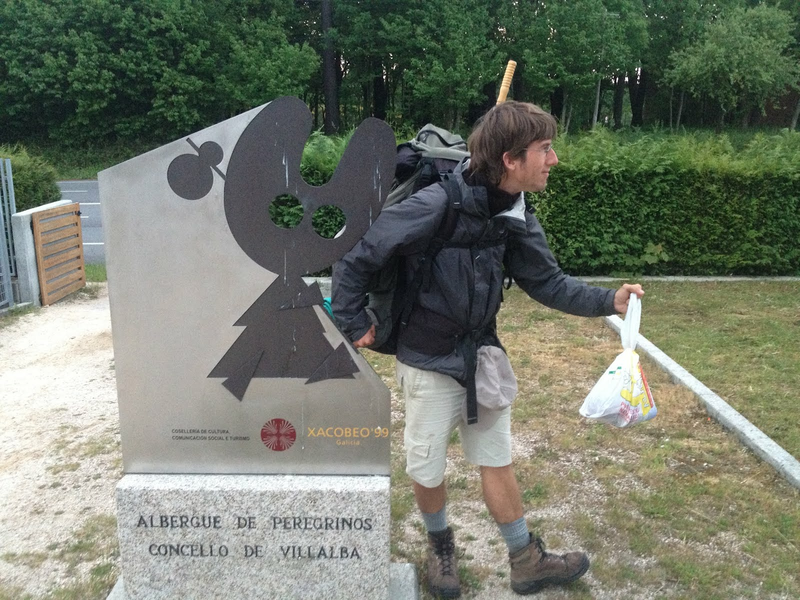 My Camino de Santiago: Day 28 - Morning. Jonathan from Belgium. Has 17 kg (including 2 kg for tent). Has been walking for 45 days starting in Le Puy in France. He stayed at the albergue, which was surprisingly full yesterday and cook tortilla (I got the wine). Even left an extra portion for me for breakfast.